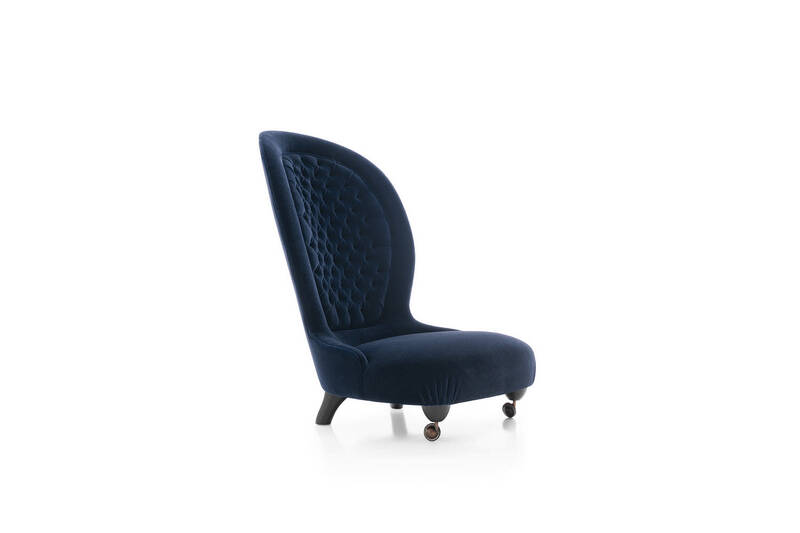 Pole Position is a celebration of the sports car seat, beautiful and comfortable and seen in the best drawing rooms. 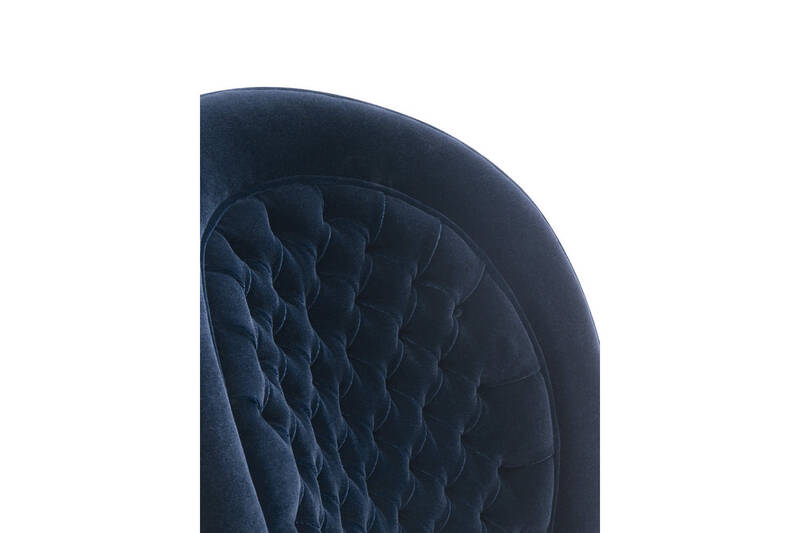 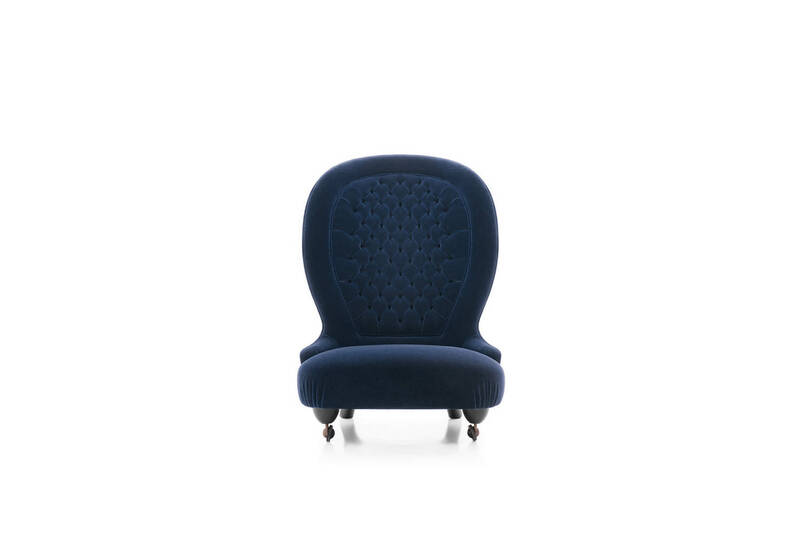 This padded bergere is a rarity among Luigi Caccia Dominioni's creations and the automobile seeps through into every detail of the model: from the curved backrest, through the stitching and Capitonne padding down to the wheels. 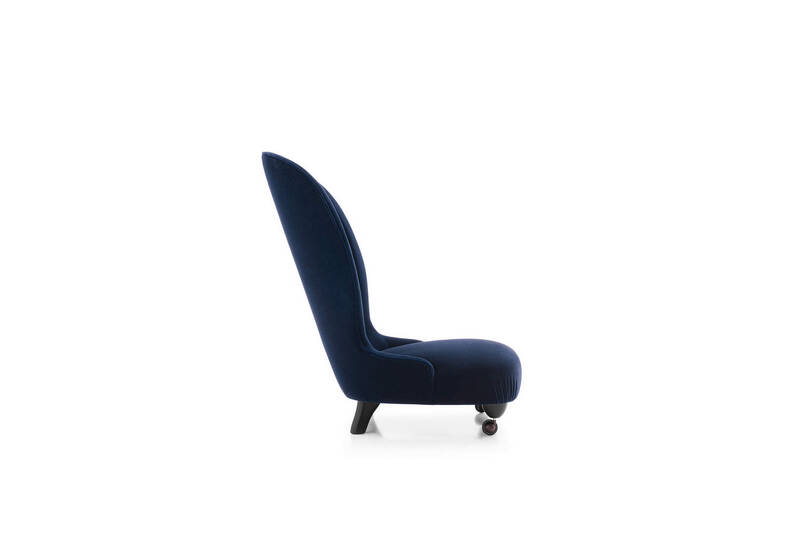 The latter appear to be an indulgent reference to Caccia Dominioni's other ABCD armchair which also boasts two small wheels on the front chair legs.